Fauble was the first American to cross the finish line at the Boston Marathon, the 7th overall finisher. 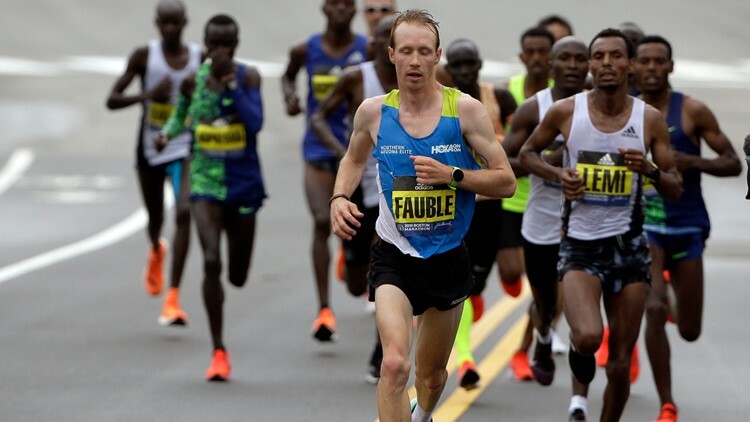 BOSTON — Wheat Ridge High School alum Scott Fauble was the first American to cross the finish line of the Boston Marathon on April 15, 2019, the seventh finisher overall. Fauble crossed the line with a time of 2:09:09 and even led the race for a brief period before dropping to the seventh position, finishing one minute and 13 seconds behind the winner Lawrence Cherono from Kenya. The former Wheat Ridge Farmer won the 4A boys cross country state championship with a time of 00:15:24.22 and also the 1,600-meter race in 2010 with a time of 00:4:19.85.